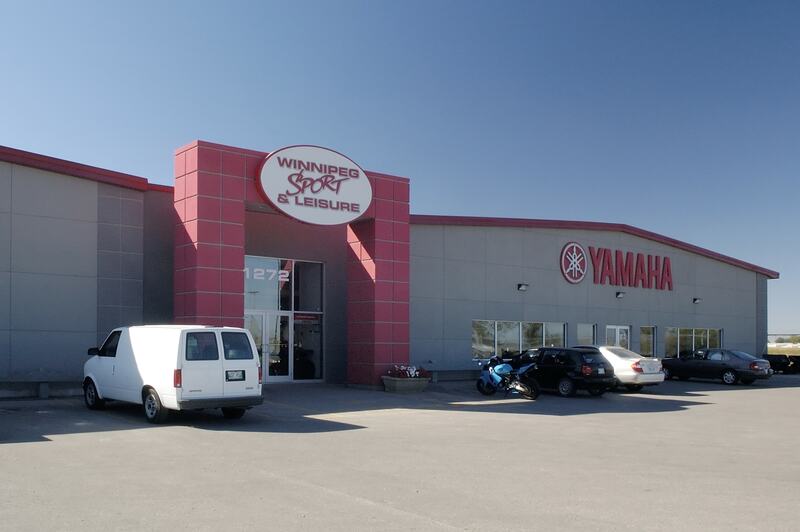 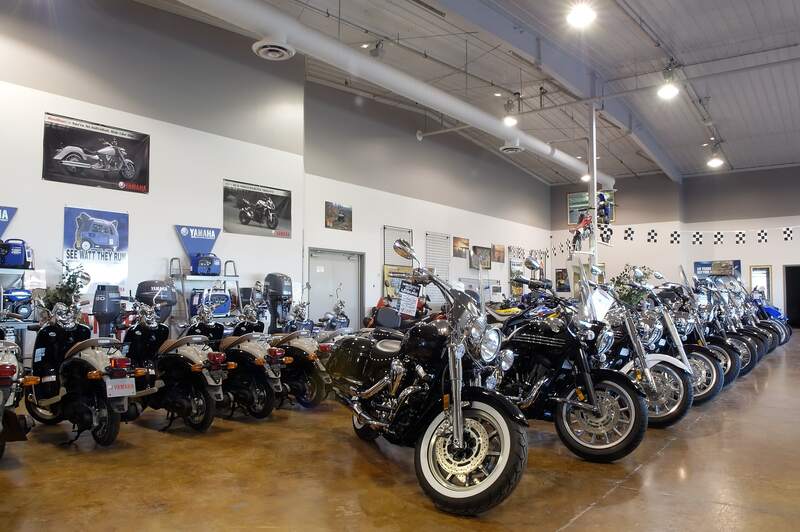 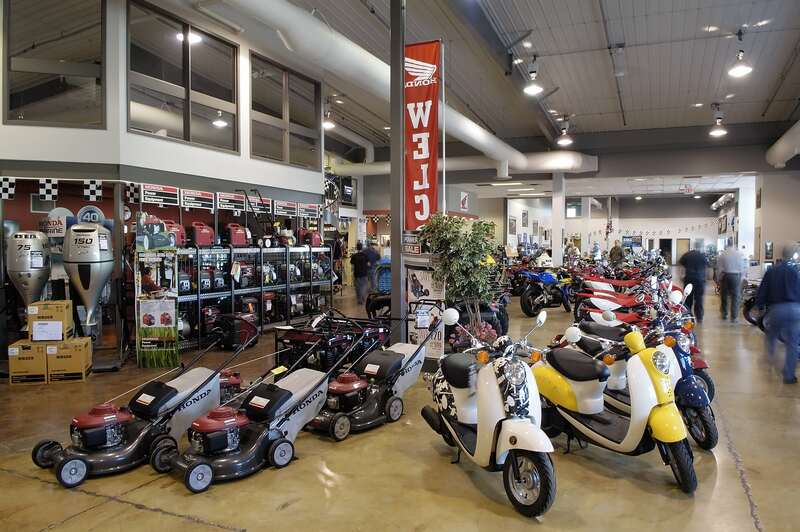 Winnipeg Sport & Leisure carries a full line of Yamaha and Honda Products including outboard motors, ATV’s , motorcycles , watercraft , snowmobiles , generators and Side By Side’s. 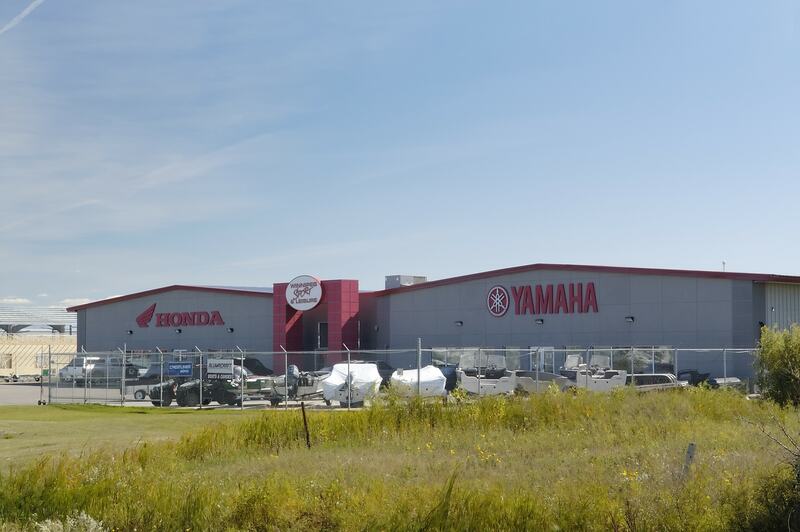 Two buildings merge together to form one. 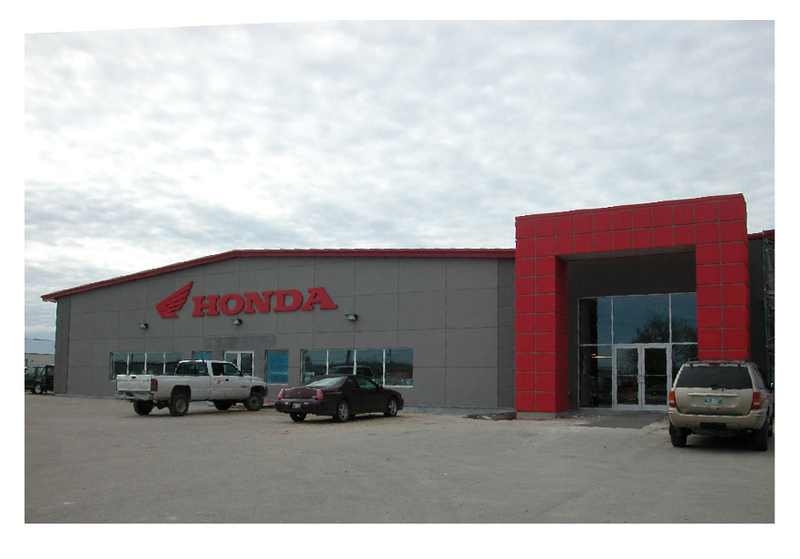 The exterior of this building is acrylic stucco complete with reveals. 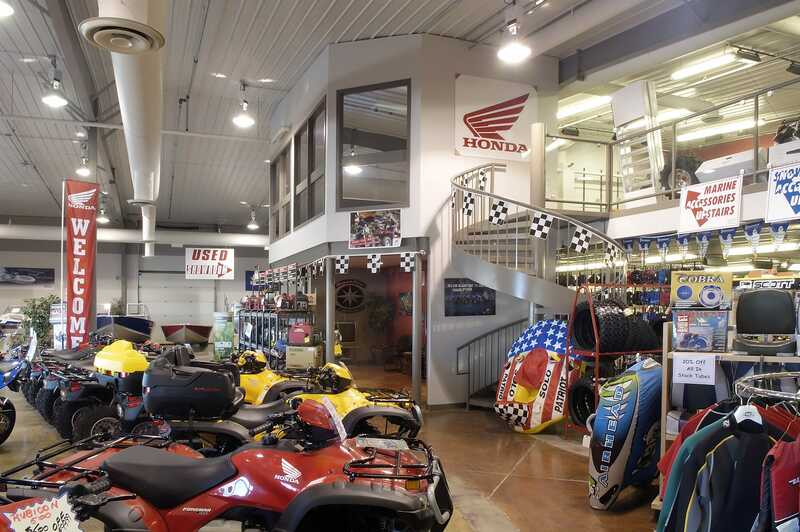 The prominent large columns of this impressive entrance way, highlighted with red acrylic stucco, also with reveals, put forward a bold statement!